For a recent customers I have been working on migrating e-mail from several completely separated e- mail infrastructures to one Office 365 environment. To achieve this the customer has chosen to use a product called MigrationWiz. 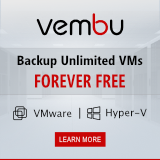 This product is offered as a web based service/cloud solution. With MigrationWiz you setup a connection to both a source and destination. After setting up the connection(s) you can start the migration. 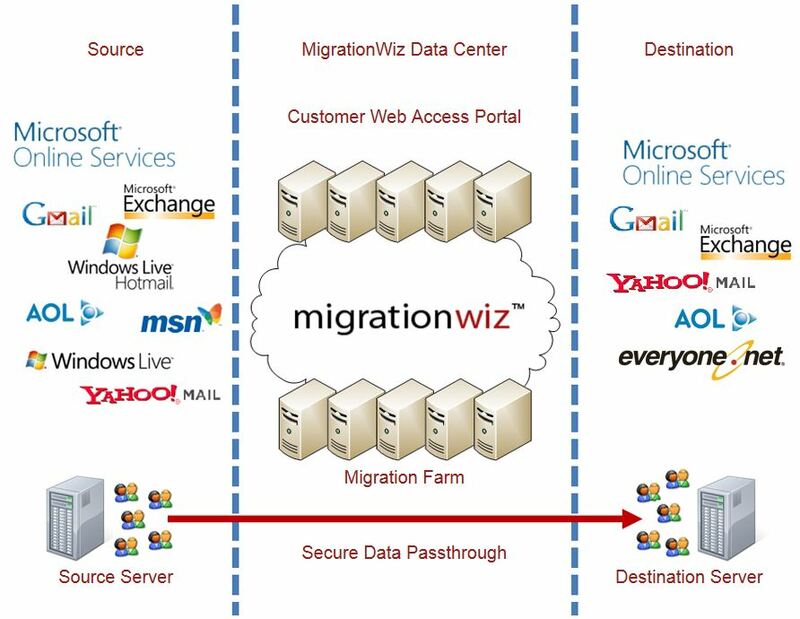 MigrationWiz will download the data from a mailbox at the source to it’s own infrastructure and then upload it to the designated target mailbox. The picture below illustrates the process. 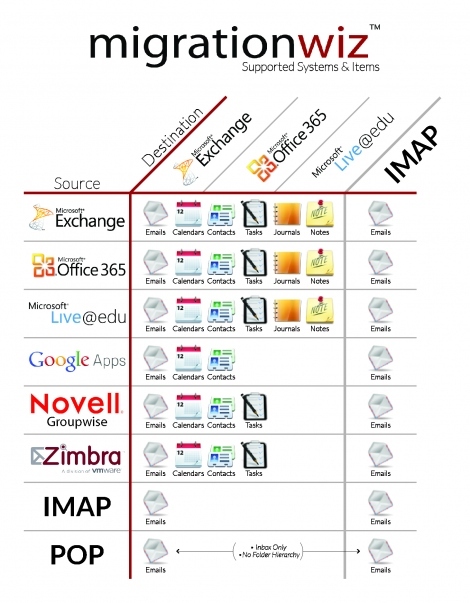 In this case we could were able to connect to each environment with the “Exchange 2003/2007/2012” as source type and as all the mail would be migrated to Office 365 we used the “Microsoft Office 365 (Outlook.com)” source type as destination. 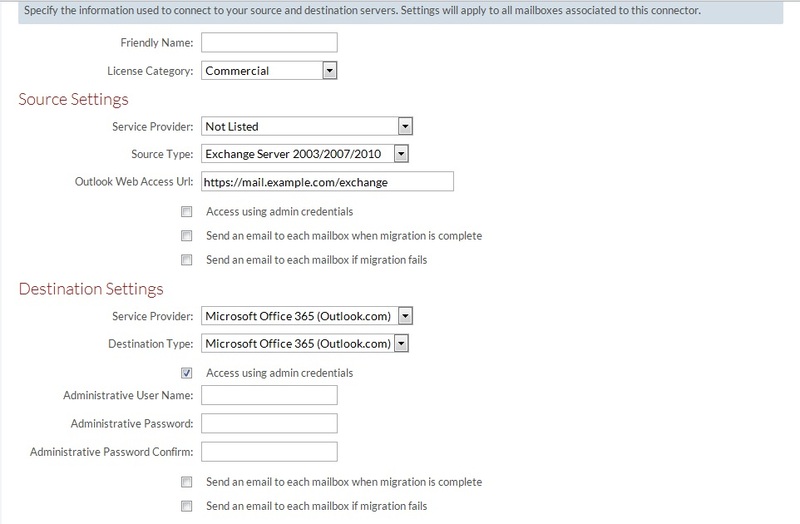 The Exchange connection type uses the Outlook Web Access service from the source Exchange infrastructure. 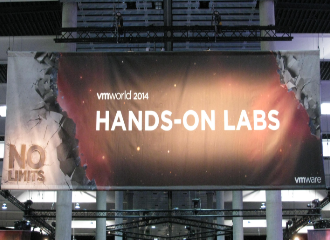 Fill in the OWA web address and make sure that OWA is available from outside the infrastructure. The “Access using admin credentials” gives you the option to enter credentials for an account that has access to all the mailboxes that you want to migrate. Using this option will remove the need to enter the user password for every mailbox that will be migrated. 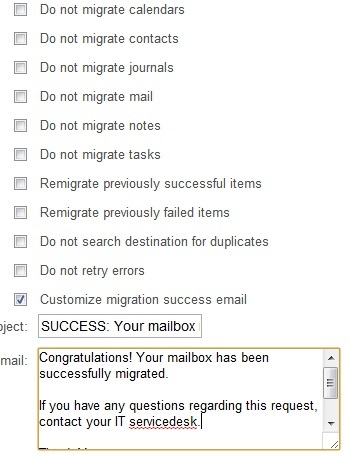 When you got a lot of mailboxes to migrate, this will probably be an option you will want to use. As the destination is Office 365 we don’t have to enter any web address, we do however have to enter an administrator account. For both the source and destination we got options to send an e-mail whether the migration of the mailbox was successful or not. In my opinion the option to send an e-mail when the migration has failed isn’t really needed. The overview you have from the site gives you enough information to see if a migration failed or not. The reason for the failure can then be fixed and the migration can be retried, no need to scare a user by sending him/her failure e-mails. Source e-mail User E-mail address in the source environment of the mailbox which needs to be migrated. Source Username Username of the mailbox. Only needs to be entered when you are not using the administrator account of the source environment. Destination e-mail E-mail address of the destination mailbox. Destination Username Username of the mailbox. Only needs to be entered when you are not using the administrator account of the source environment. Flags Options that can be given with each mailbox. In the knowledge base you can see how these flags work. After you added all the mailboxes you can start migrating the mailboxes when you see fit. You could for example setup up all the connectors and add all the mailboxes you want to those connectors and then choose to migrate all of them at the time you desire. In some cases we had users with a mailbox in several different mail environments. In those cases you will have to watch out not to migrate them simultaneously, as this will result in a failure. You can’t write to the destination from several sources at the same time. Migrating from several sources sequential isn’t a problem and won’t deleted or overwrite data migrated from other sources. Premium $11.99: Has a transfer limit of 50GB per mailbox and offers delta migration (5 passes). Volume discount pricing is possible, there’s also special pricing for academics and government. After working with MigrationWiz I can say that it worked really well. It is easy to use and when I ran into a problem I could not resolve myself the support from MigrationWiz was really fast and accurate. One of the problems revolved the use of the “&” character in mail addresses, this involved them changing their scripts, but was done within the same workday. The service being available through a website gave me the flexibility to start and monitor the migration even when I was not able to be at the office or at home. In some cases I used my phone to keep the migration going.